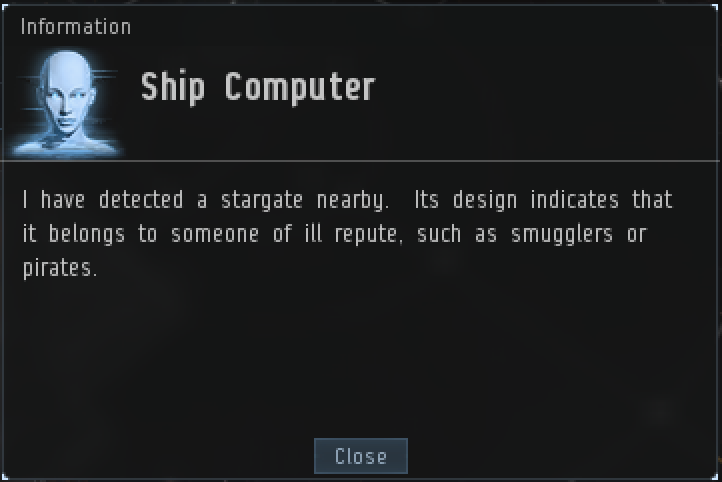 One of the most profitable activities in EVE Online is carrier ratting in null security space. Many ships, such as the Vexor Navy Issue, Ishtar, or Rattlesnake, are capable of effectively clearing anomalies. Carrier ratting offers much more ISK/hour than ratting in any subcapital ship, but with a substantial upfront cost. If you’re having trouble affording a carrier, consider station trading or AFK ratting until you are able to afford one. Feeling impatient? Buy some PLEX to support the site and get your carrier today. Although each race in EVE Online has its own carrier, they are not all equal when it comes to carrier ratting. The Minmatar Nidhoggur comes out on top as the best ship for carrier ratting. Carrier ratting involves sitting far from the rats and letting fighters clean up the site. This means that when carrier ratting properly, incoming damage will be minimal. The Amarr Archon has a 4% bonus to Armor resistances per level, and the Caldari Chimera has a 4% bonus to Shield resistances per level. Since incoming damage is low, both of these bonuses are of little use in this scenario. The Gallente Thanatos and Minmatar Nidhoggur each have a 5% bonus to fighter damage per level. What sets the two apart is that the Thanatos also has a 2.5% bonus to fighter hitpoints per level, while the Nidhoggur has a 2.5% bonus to fighter velocity per level. While both ships are good for carrier ratting, the Nidhoggur comes out ahead. With proper management, fighters will take little damage, making the Thanatos’s bonus extraneous. The Nidhoggur’s velocity bonus allows fighters to travel between targets more quickly, increasing effective DPS. As a result, the Nidhoggur will offer higher ticks when carrier ratting compared to the Thanatos. An optimal carrier ratting fit will focus on maximizing fighter damage and velocity for maximum effective damage. The low slots in the fit above use 5 Imperial Navy Drone Damage Amplifiers to increase the damage output of the fighters. In the mid slots, a Drone Navigation Computer II increases fighter velocity in order to decrease the time it takes to switch targets. Three Federation Navy Omnidirectional Tracking Links further increase the damage output of the fighters. Two of the links are loaded with Optimal Range Scripts, and the last with a Tracking Speed Script. Two X-Type Deflection Fields provide enough tank for a carrier to comfortably chain sites. Be sure to match the tank against the damage output of the rats you will be facing. In the high slots, 5 Fighter Support Unit II further increase the effective DPS of the fighters. The Networked Sensor Array vastly decreases lock time, to make switching targets easier. In the rig slots, three Hyperspatial Velocity Optimizer rigs decrease warp time, the main bottleneck a well fit carrier will face while ratting. 27 tech 2 fighters are used (to fill out 3 wings of 9 fighters each). Tech 2 fighters offer much higher ticks than their tech 1 counterparts. Be sure to match the damage type of the fighters to the weakness of the rats you are fighting. First and foremost, always keep an eye on the intel channel. Carriers align and warp very slowly. Simply put, if you are caught, you will likely die. Carrier ratting should only be attempted deep in friendly space with a solid intelligence network. After undocking, you will find a button located near your modules that toggles between your module display and your fighter control panel. Switch to the fighter display, then click and drag the square button below the fighters to position the display beneath your target display. This way, you will minimize mouse movement when switching between targets. Also make sure your default orbit distance is set to 4000m. You can do so by right clicking on the orbit button on your overview selection panel. Open your probe scanner. Sort the results by distance, to minimize time spent in warp. Rock Havens are the best site to rat in a carrier, with Forsaken Hubs coming in second. In order to determine if a Haven is a Rock Haven, begin warping to it and immediately press ctrl+space in order to cancel the warp. If the message on the left is displayed in the center of your screen, then the Haven is a Rock Haven. Once you have selected a site, warp to it at 100km. Make sure that your tank modules and tracking links are cycling. Upon landing, deploy your fighters and engage your Networked Sensor Array. Click on the first group of fighters, and then shift+click on the last group, to select all of your fighters. Ensure that you do not your ship selected by making sure you do not have a blue bubble around your capacitor display. Order your fighters to orbit an object at the center of the site, and activate their microwarpdrives so they can burn the 100km to the site quickly. Once the rats spawn, you should destroy them in order of increasing size. When dealing with a Frigate or Cruiser, order one squad of fighters to orbit the target and activate its guns. Using more than one squad on these targets will waste DPS. For Battlecruisers, use one squad of fighters, but also fire one volley of missiles at the target. After one of your fighter squads destroys its target, it will come to a complete stop. It is important to switch the squad to a new target immediately, as rats can deal a huge amount of damage to a squad that has no transversal velocity. If you find yourself losing fighters, then you are not switching them to new targets quickly enough. After clearing the field of all small ships, check to see if any Commander Battleships have spawned. These have names that start with special prefixes, such as “Dread Guristas,” and offer a chance at faction loot. If a Commander Battleship is present, then destroy it before moving onto any of the other Battleships, bookmark the wreck, and return in a fast ship to collect the loot after clearing the site. Against a Battleship, use all three squads of fighters, and fire one volley of missiles from each squad. With high skills, a Battleship can be destroyed with one volley of missiles + two cycles of guns from each of your three squads. As such, make sure you do not waste damage by using missiles on a Battleship that has taken more than two cycles from guns. While clearing the Battleships of the last wave, open your probe scanner and align to your next site. After destroying the last ship, recall your fighters, and activate their microwarpdrives. Once they have landed in your ship, warp to the next site at 100km and repeat.